Package Camping on Mount Bromo and Modangan Beach – That is a package aims to get closer to nature. Camping on mount bromo and modangan beach will have an experience different from the usual tour. Differences camping place we deliberately combine so you can feel the original atmosphere of mountains and beaches surrounded by hills. We will pick up in airport or train station in Surabaya / Malang. After that continue the journey to the waung hill around Modangan beach to preparation of camping equipment. The scenery contained in this place is amazing, the beach with a stretch of white sand along the 1.6 kilometers. Activities that can be done in the afternoon can enjoy the beauty of the sunset from where we camp. If the wind supports, you can do the paragliding from waung hill and make landings on modangan beach. Lit a bonfire at night by looking the stars scattered when the sky is clear. In this place you can also enjoy the Milky Way if it coincides with its appearance. You can also see the beauty of the sunrise from this place with a background of the Indian Ocean. When finished with the activities in waung hill then it’s time we move to the mount bromo for about 6 hours driving. After arriving then make preparations to do camping in the Mentigen hill bromo area. 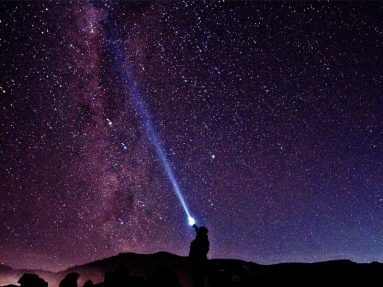 Enjoy the beauty of the night in the area of bromo mountain with a view to the valley that is directed to the city of probolinggo. sparkling scattered lights form a beauty of its own. Besides that if the weather is sunny you can take a picture of a natural phenomenon that is Milky Way. 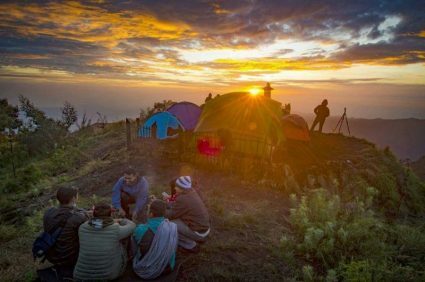 Get up early to welcome the sunrise from Mentigen hill, enjoy it until over and continue going to the active bromo crater. Time to return to Cemoro Lawang village for breakfast, take shower and drive to surabaya to return home sweet home.